Light exposure in your room plays a large part in the visual drama of your paint colors. In rooms with multi-directional sun exposure—either opposing (east/west or north/south) or perpendicular (north/west, north/east, south/west, south/east)—the play of light over your walls, reflecting off your ceiling or bouncing off the floor can change the appearance of the paint colors your chosen. In fact, the colors will look different at various times of the day and even change with the seasons throughout the year. And, when you add artificial light into the mix you may end up with a look you weren’t expecting. As you may remember from grade school, the concept of color is part of the light spectrum. You know that when you see a rainbow, its colors are different lengths of light rays from the sun bouncing off water molecules in the atmosphere. In fact, the very definition of color is the property of an object producing different sensations on the eye resulting from the way it reflects light. Just as beauty is in the eye of the beholder, so is color. Humans have varying degrees of color-blindness, and in men, it is as high as seven to 10 percent in the red-green spectrum. A smaller number of colorblind people of either gender do not see the blue-yellow spectrum. That means that if you’ve chosen a neutral gray or taupe with a red or green undertone, your spouse may see it differently from you. Add the play of light to the scenario and you can see why your color choices can make a huge difference to how you enjoy your home … and how it appears to potential buyers. In the northern hemisphere, a southern exposure has light throughout most of the day and most of the year. Light from the sun intensifies colors, so consider the room’s use when choosing bright vs. cool colors. If this is the room you’ll be relaxing in at the end of the day you’ll want to cool it down with blue undertones. East or west exposure is most intense in the morning or evening. A bedroom with a west exposure will be darker in the morning. 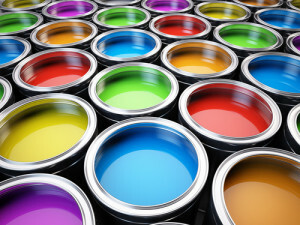 If you have trouble waking up, you might want to add red or yellow undertones to your room colors. On the other hand, a room with an east exposure will be light and bright in the morning, so you might want to tone it down with blue or green undertones. In the afternoon, light rays are shorter, giving them a blue tone that washes out color. If you’ll use a room most often in the midday, consider a brighter color that is opposite the blue spectrum (yellow on the color wheel) or with yellow undertones. Lighting makes a big difference too. The type of light bulb, wattage and placement of the light fixture change the appearance of color on walls, floors and ceilings. Before choosing a color, bring home swatches and hang them on the walls. Watch how light plays off them throughout the day. If you’re still not sure, buy sample sizes of a couple of colors and paint larger swaths on the walls (or on butcher paper) to get a better idea. If you’re unsure about which neutral color to paint in preparation to sell your home, give us a call. We’re happy to advise you on what buyers look for in a home.